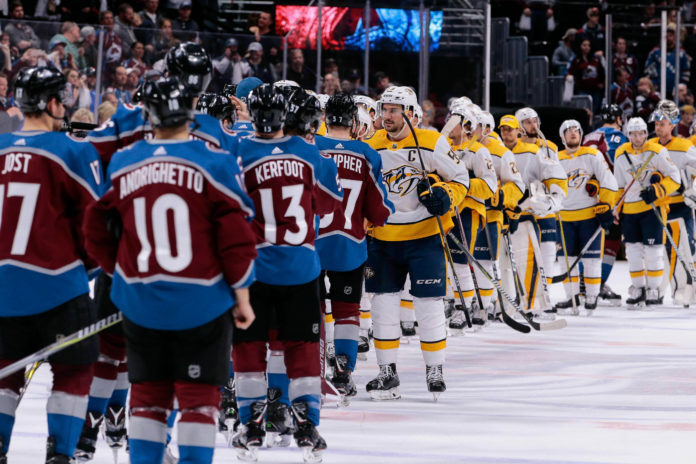 The Colorado Avalanche saw their season come to an end on Sunday evening at the hands of the Nashville Predators, losing 5-0 at Pepsi Center. 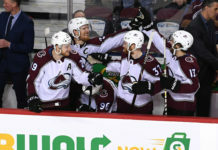 The loss ended a fantastic season where the Avs exceeded all expectations set for them and gave fans a glimpse into what may come in the seasons ahead. What did we learn from Game 6? The Nashville defense, what many expected to be the difference in this series, made the difference tonight, with their tremendous top four combining for 21 shot attempts on the evening. 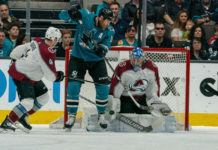 Ekholm opened the scoring, putting in the first goal by a blueliner all series for Nashville, and their studs on the back end caused a world of problems for the Avs. An off night from the top line usually means bad things for the Avs, and it did tonight. The big line was on the ice for the first two goals against and had trouble getting into the Nashville zone all evening. The Predators deserve credit for how they swarmed on that line and didn’t allow them to make a difference tonight. Tyson Jost got better as the year went on, but his lack of scoring ultimately hurt the team in the postseason. He finished the series with zero even strength points, and his only assist came on a five-on-three. A summer of power skating would be great for him, and you can only expect him to get better in the coming years. Nikita Zadorov has gotten tagged with some penalties this year where he just looks bigger than the opposing player, but the interference call on him in the second period was bizarre. Viktor Arvidsson had just caught the pass when Zadorov caught him with an open ice hit, but the refs still called Big Z for the penalty. The towering defender still seemingly has to earn his stripes with the refs, but you hope that some of these penalties don’t affect his physical play down the line. The Avs playoff exit on home ice was meant to be, and the ovation they received from the fans was well deserved. This was an exciting year for the team (and fans), and given this is the youngest team in the league, there is no reason to be anything but excited for what may come in the next few years.